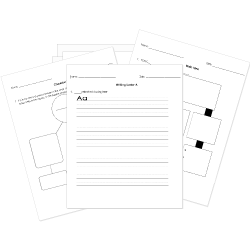 You can create printable tests and worksheets from these A Raisin in the Sun questions! Select one or more questions using the checkboxes above each question. Then click the add selected questions to a test button before moving to another page. Who was the author of "A Raisin in the Sun"? Why was Mama getting a check for $10,000? What did Mama do with her money? What was Walter's reaction to Mama's purchase? Who are Willy and Bobo? Why did Beneatha say she wouldn't marry George? Where and when did "A Raisin in the Sun" take place? Why does Walter's employer call? Walter is getting a raise. Walter must come in earlier. Walter has not been to work in three days. Walter has been denied vacation time. In "A Raisin In the Sun", what does Ruth prepare for Walter's breakfast? Near the end of the play, what does Asagai leave Beneatha to think about? whether straightening her hair is "mutilation"
In "A Raisin In the Sun", why does mama slap Beneatha? What was the name of Ruth and Walter's child? Who did Bobo say took the money that Walter gave to help open the liquor store?